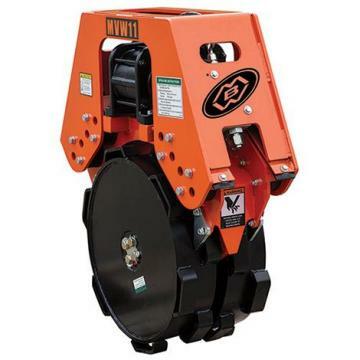 MBW static wheels are built to standards suitable for vibratory compactors. That means heavier bearings (to 1,100,000 lbs. static load), heavier shafts (to 710,000 lbs. shear strength) with a correspondingly heavy frame that supports the wheel at both ends to minimize frame and shaft deformation. Our static wheels are heavily built because they can be converted to vibratory wheels when need arises. 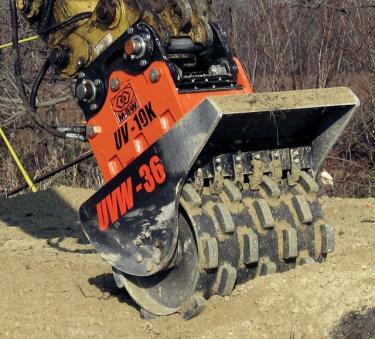 MBW pioneered the industry's first boom-mounted vibratory wheels in the late 1990s. We are now introducing a whole new generation of vibratory wheels. These new wheels feature a redesigned frame that supports the wheel or drum at both ends to reduce stress concentrations, an improved suspension system that protects isolators from damage due to over deflection and exciter operating temperatures that have been significantly lowered.